I still can’t believe till this day that I managed going to Thailand by myself. Why? Well, it’s not my first solo travel overseas, but Thailand is known for people trafficking <my friend at work gave me this heads-up, which is not what I wanted to hear>. Then another friend of mine told me that ladyboy there was fierce and didn’t like woman. So thinking that I would spend 9 days traveling solo in my first visit to Thailand just gave me the chill.. Exciting, scary, afraid, nervous mostly … all mixed up. But in the end, I won’t be able to write this journal if all didn’t go well. 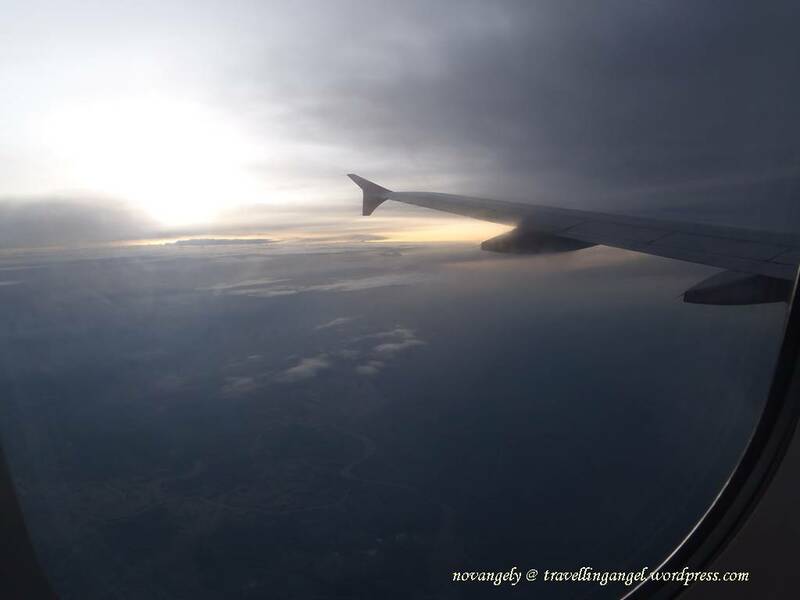 My flight arrived in Phuket Airport 10min earlier, around 8 pm. Immigration process went smoothly, no visa-on-arrival required for Indonesian. I’ve known it but since I was still nervous with this trip, I asked the officer there just to get the answer I had known… so silly!! Then I tried to check some stuffs in the Phuket Airport I read from other bloggers.. the stuffs that are essential for me too.. I read that there would be a free SIM Card (provider: TRUE corp) distributed at the airport and it is true. They have a small stand in the baggage claim area but I didn’t take it. I heard their signal wasn’t good at Koh Samui / Koh Phangan. I read that I could get a good bargain for oneway ticket to Koh Phi Phi for 400baht in the airport and it is also true. There are many travel counters just before the exit door. They offer 600baht for a one-way ticket include transfer from hotel to Ratsada Pier. I searched in the web that the ticket itself costs more than 400baht so it’s better to buy in the airport. I read about this shared minivan and yeah, I found them there in front of exit gate. 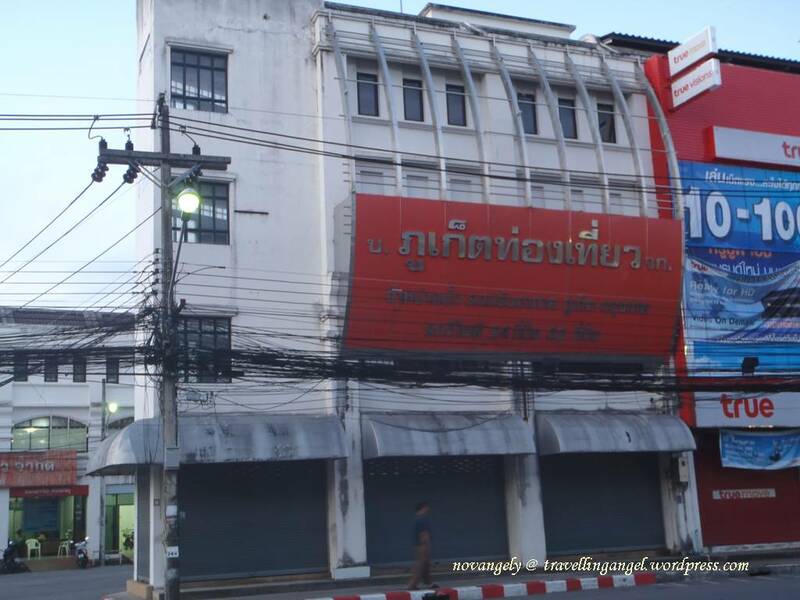 It is about 150baht to PhuketTown. But when I asked the agent, they said “Yes, we have. But it is long…. ” (waiting time) all the agents said the same. Probably going to Patong is faster. I tried to find Airport Bus but I think they had closed already. So I went to Taxi Meter counter, on the right side of exit door. After waiting for 30min due to raining, I got a Taxi to Phuket Town for 500baht. Expensive but I have no choice. The journey to Phuket Town took about 40-50min. The taxi driver is very kind. He knows some Indonesian so I am not scare anymore. The street to Phuket Town reminds me of Bali, except the screwed-up electricity wires everywhere.. Wow, they really need to fix that!! When I arrived at my hotel, I was so glad to find the cleanest dorm ever. Clean bathroom, clean lobby, clean toilet, clean room and fast wi-fi. There is lots of space in the room too for my luggage. I met a friend from US who stayed in the same dorm. She was just back from Koh Phi Phi and gave me all details about the island. I planned to go to Koh Phi Phi the next day and I was so grateful to her for that info and her map really helped me a lot!! She kinda guided me to find some stuffs at seven-eleven include One-2-Call Sim Card and dinner that day. Good to have a friend around in a place you don’t know. I woke up early.. well, honestly I didn’t sleep that nite <my first sleepless nite>. Probably because the anxiety of the trip and afraid of missing my boat. 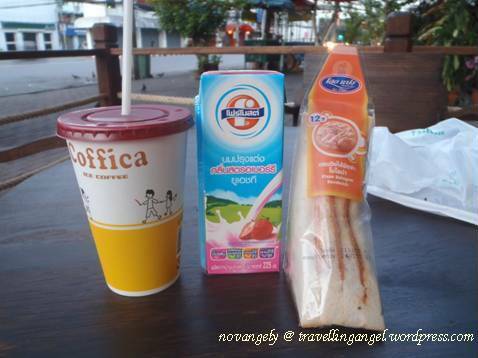 I started the day packing my stuffs then tried to find breakfast at seven-eleven. The coffee is good!! I noticed that there were some items sold in Indonesia too. After all the packing and breakfast finished and said goodbye to my US friend, I waited for my pick-up in the lobby. The agent in the airport said that they would pick me up around 8am for 8:30am ferry. They came on time. 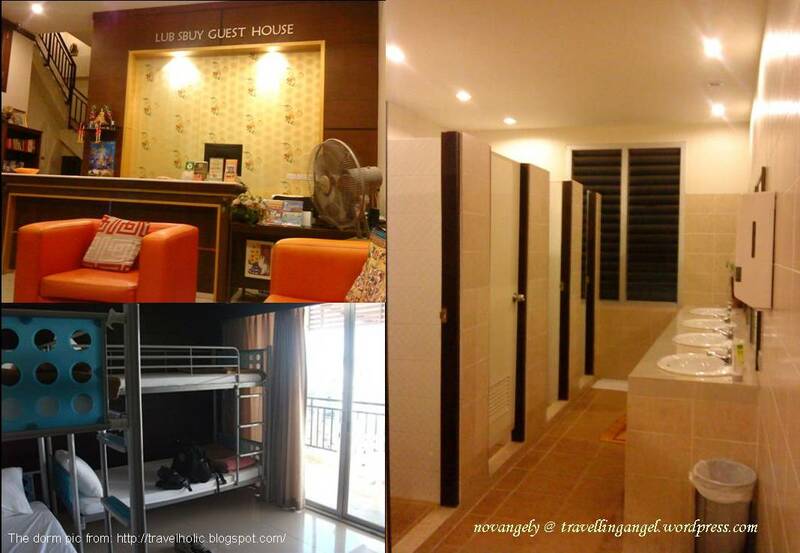 Hotel : Lub Sbuy Guesthouse in Phuket Town, usd7.82/bed in a 4-beds mixed dorm, fan + 200baht refundable deposit. 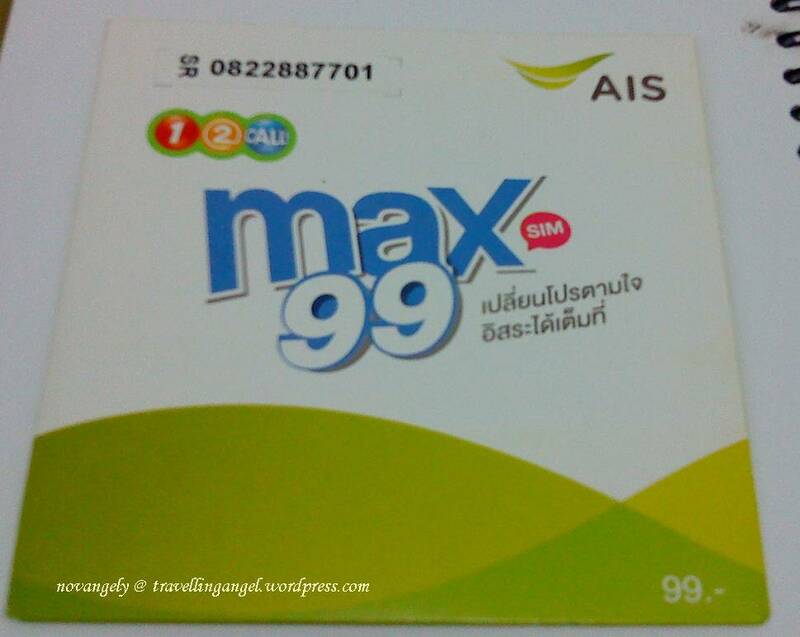 Sim card : Max 99 One-2-Call + 200baht top up ..
PhiPhi Cruise Boat ticket Phuket Town – Ratsada Pier – Koh Phi Phi : 600baht (Bought in airport).